Sometimes you are just ready for something other than chicken – can I get a Hallelujah?! And did you know PORK is the “new” chicken! 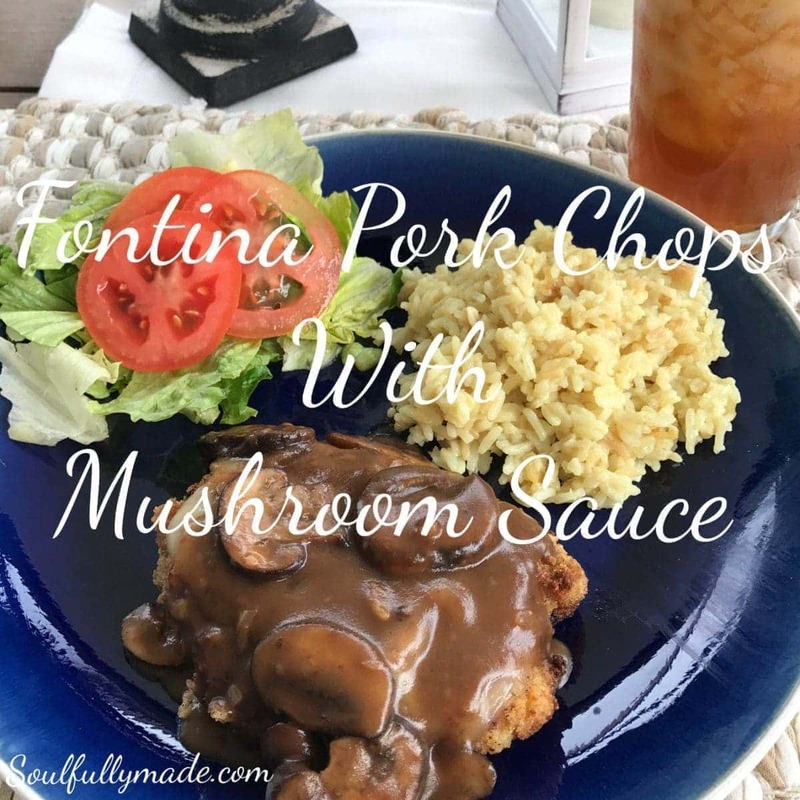 So, Ha – step on out of the way chicken – because these Fontina Pork Chops with Mushroom Sauce certainly have our mouth’s watering and us forgetting that you ever existed. Did You Also Know – Pork Chops come from the leanest part of the pig? They lend well to pan frying, baking, broiling and grilling. Whatever way you choose to cook your chops 145°(160° for ground pork) is the perfect internal temperature for this lovely piece of protein! And you may also be surprised that pork contains some valuable nutrients. It is a great source of protein, potassium, phosphorus, niacin, and vitamin B6. 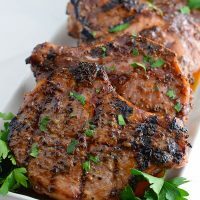 Add all that to the fact that pork chops are delicious and it makes them a great addition to your family table. Enough of the healthy talk someone said ….. Cheese – Did I mention the cheese? You know how I love cheese!!! And I think you will L-O-V-E / LOVE- (can you hear Bear singing the song? 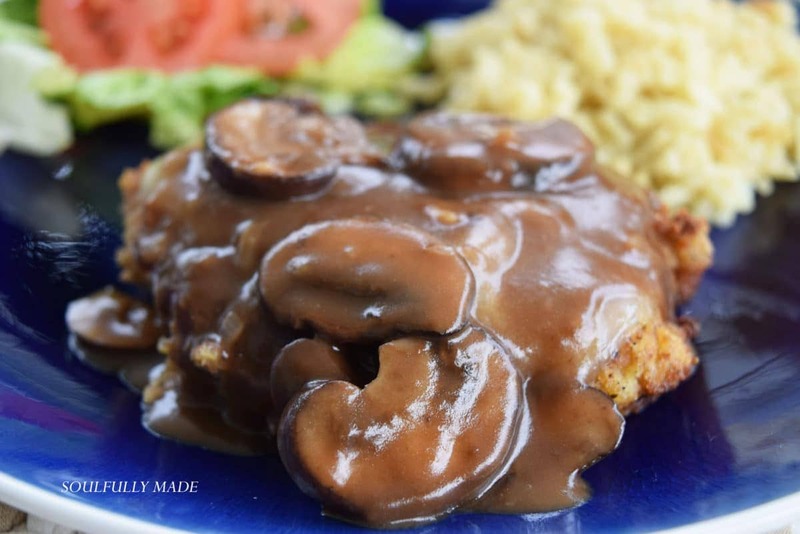 – okay I am back from childhood memories with my kids watching “Bear In The Big Blue House”) these Fontina Pork Chops with this delicious Marsala Mushroom Sauce. This sauce is the peanut to my jelly and it contains my secret ingredient that gives it that extra something (Shhh don’t tell it’s the balsamic glaze)! 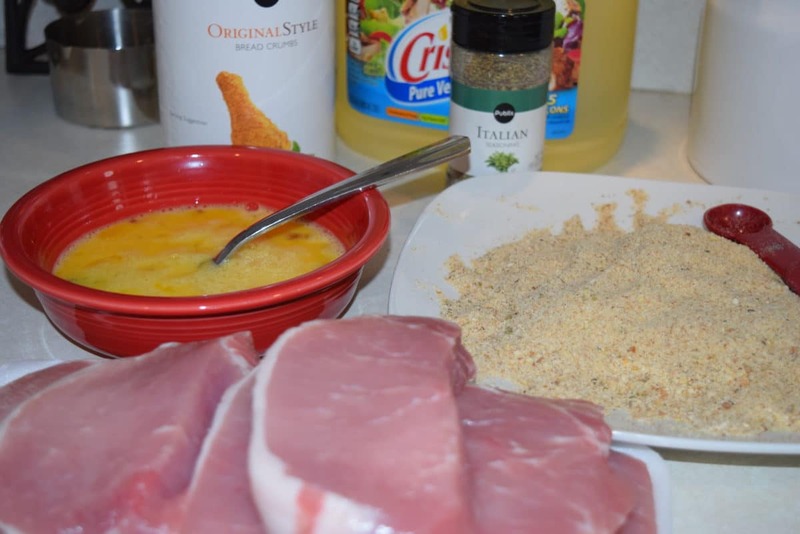 Let’s start out by gathering all the ingredients to get these pork chops in the pan. You need eggs, Italian seasoning, breadcrumbs, and some salt and pepper. Then throw them in the oven and bake them! They come out so beautiful! Put cheese on them when after you pull them out and let it melt! Oh so greatness! Meanwhile, make that sauce. Butter, shallots, mushrooms, flour, Balsamic Vinegar(shh), Marsala Wine and Beef Broth and BAM like magic – it’s a sauce. OK – I forgot to take a picture of the sauce. What kind of food blog is this? I know 🙁 So you get a pretty picture of mushrooms! 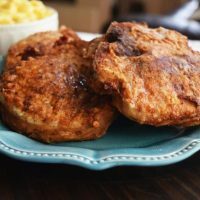 Top the Pork Chops with the sauce and put on a few favorites side and call it a day! 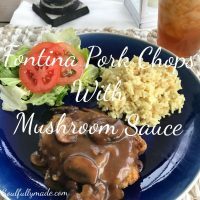 I have rice pilaf and a simple salad because these Fontina Pork Chops with Mushroom Sauce are the star of this show! Well fellow SoulFulls – I hope you enjoy this as much as we did at my house! My son gobbling it down is always a good indication for me I will be making this one again 😉 I really hope you do to! Show me some love by letting me know in the comments! I love to hear from you my friends! Pour oil into oven proof pan or sauté pan. (You will need to bake on baking sheet if pan in not oven safe) Heat to medium to medium high heat. Salt and pepper pork chops to taste. Dip into egg wash, coat in breadcrumbs. Meanwhile, sauté butter and shallots for 1 minute. Add mushrooms and cook 7 to 9 minutes until softened. Add flour and cook for 1 minute. 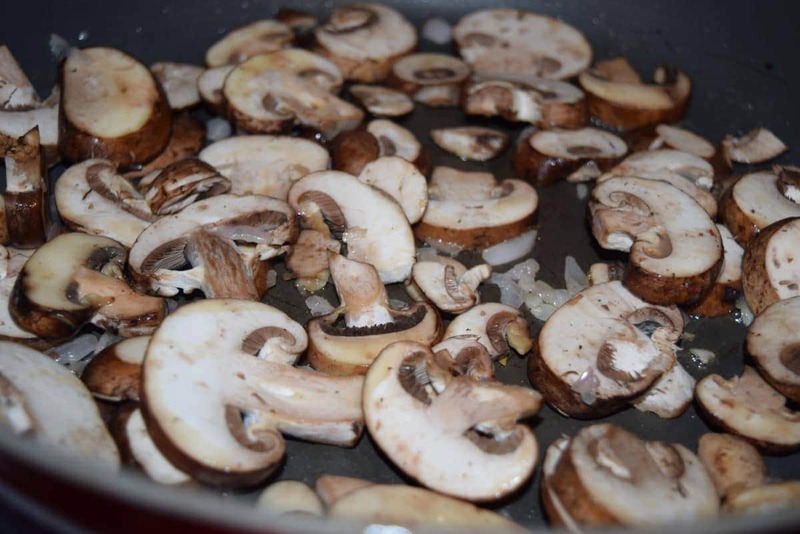 Add balsamic glaze, stir to coat mushrooms. Then add marsala wine and cook for 1 to 2 minutes. Add beef broth and let simmer for 3 minutes. 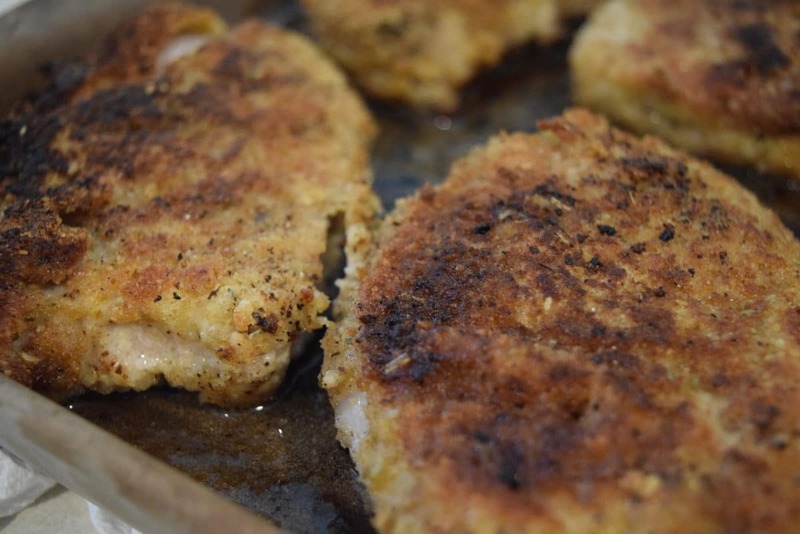 Remove pork chops from oven and put a slice of fontina cheese on each pork chop. Let sit 2 to 3 minutes for cheese to melt and pork to rest. Plate and serve with mushroom sauce on top. 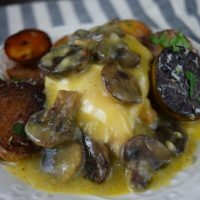 Now once you have tried my Fontina Pork Chops with Mushroom Sauce take a stab at all these yummy Pork Chop Recipes made by all my fellow Sunday Supper Tastemakers! I promise you will be glad you did! They sure can cook! Right you just can’t go wrong with that combo! I agree Yum! This does sound lovely. I enjoy pork marsala and love that you added cheese to the mix. Balsamic to the marsala sauce…Genius! I do like mushrooms with pork chops – looks good! Thank you Caroline! I agree mushrooms are wonderful with pork chops! Oh wow these look incredible I love the cheese on top along with the mushroom gravy! looks great! I make mushroom sauce for steak a lot, I need to try it on pork chops, following your example. Thank you! Give it a try!! I think you will approve! I usually use it on chicken or steak and thought I would give this a whirl! Loved it! My son approved and wanted seconds so it’s a win in book! Let me know what you think. Those look DELICIOUS! 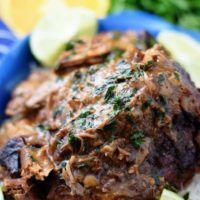 I am loving all these tips and tricks to cook pork this week! Thank you! I have enjoyed them too! I love the #SundaySupper Community! Great people with amazing recipes and tips! Cheese AND mushrooms???! What fabulous chops!!! I know cheese and mushrooms you can’t get much better 🙂 Thank you Liz!